At a departmental reception, Brenda Rapp "passed the torch" to Geraldine Legendre, who will take over as chair of the Department of Cognitive Science on July 1, 2018. See the moment captured in this fun candid shot! Attention Cognitive Science Majors: Click the link above to read this important announcement regarding a degree requirement change. 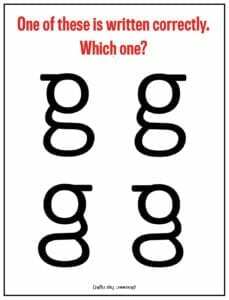 This fun study shows how most people are essentially unaware of the more common version of the lowercase print letter "g" and explores the possible implications. The paper was published in the Journal of Experimental Psychology: Human Perception and Performance, authored by junior Kimberly Wong, alum Frempongma Wadee (A&S '17 BA), grad student Gali Elenblum and Prof. McCloskey. Congrats, Arunima! At the Norwegian University of Science and Technology, Arunima will study the development of Norwegian perception verbs in autism in an effort to determine the earliest predictor of autistic children's understanding of other's minds. Join Omega Psi for its annual undergraduate Cognitive Science conference on April 7th. The event will showcase undergraduate research in Cognitive Science and three keynote speakers: Dr. LaBar (Duke), Dr. Fischer-Baum (Rice), and Dr. Honey (JHU). Alumnus Simon Fischer-Baum, PhD '07 (Rice Univ. 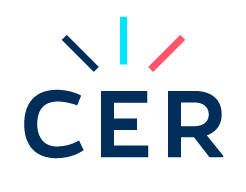 ), was chosen by the National Science Foundation for its prestigious Early CAREER Award, which recognizes early-stage scholars with high levels of promise and excellence. The funded project is entitled, "Mapping the neural locus of cognitive processes in word reading." Click the link above to read the award abstract. On Jan. 22, faculty and students across various fields of science gathered together in Hodson Hall for the biennial Science of Learning Symposium. 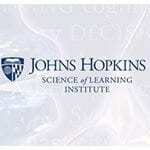 This past January marked the five-year anniversary for the Science of Learning Institute, which was founded in 2013. In her opening speech, Barbara Landau, director of the Science of Learning Institute and professor of cognitive science, explained what science of learning means.